Fencing is an essential element within our farming communities and a skill to be truly nurtured and celebrated. 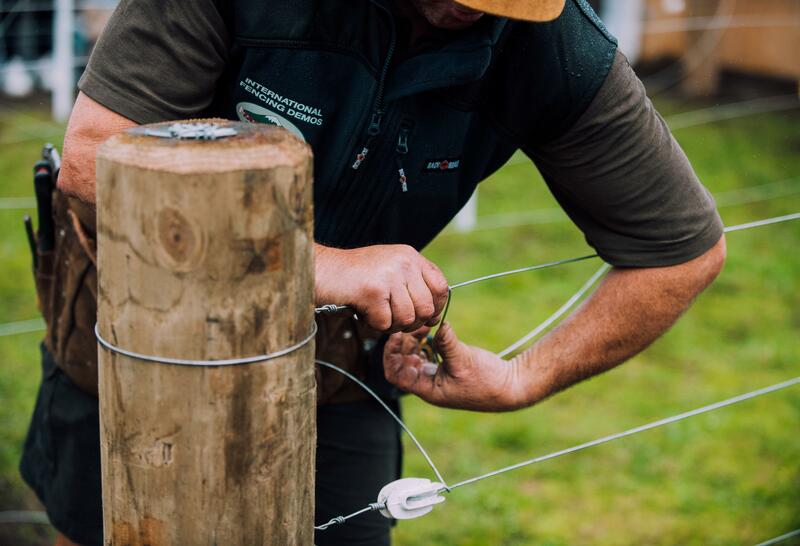 Fieldays Fencing offers you the chance to see some of the country’s top fencers in action as well as offer free and interactive fencing advice. Interactive demonstrations are run continuously by three top professional fencers and fencing instructors throughout Fieldays. No matter if you are a novice wanting to learn a little about fencing or a professional wanting the best advice and latest techniques, you will get the answers at the Taragate Fencing Demonstrations. Get up close to the fence line and demonstrator in a relaxed interactive environment to watch and learn. Also featured will be demonstrations of fences being built using tractor driven post drivers from several of New Zealand’s finest manufacturers, including King Hitter. Fieldays Fencing Competitions, brought to you by New Zealand Fencing Competitions (NZFC) showcases New Zealand’s top fencers in a match of skill, speed, endurance and sheer tenacity. With an eye for excellence, matched against time penalties quality fencing excellence prevails. Make sure you stop by to see the best of the best go head-to-head; these competitions are like no other in the world. The qualifying heats are held on the Monday before Fieldays. In the Singles heat, the top eight finalists qualify for the Golden Pliers® singles Championship brought to you by WIREMARK® – the epitome of fencing competitions. Then the next six finalists that have not competed in a Golden Pliers final before qualify for the Bill Schuler Competition final. This is designed to promote youth in fencing and those new to competitions, this competition allows those competitors to step up and compete at national level, gain exposure and network with some of the best fencers in the country. Then in the Doubles heat, the top six teams qualify for the Fieldays Silver Spades® Doubles Championship.